Malware is a generic term for bad software. Malware is an abbreviation for ‘malicious software’ computer program .Malware consists of programming (code, scripts, active content, and other software) designed to disrupt or deny operation, gather information that leads to loss of privacy or exploitation, gain unauthorized access to system resources, and other abusive behavior . A computer virus is a program which reproduces itself. It may attach to other programs, it may create copies of itself (as in companion viruses). It may damage or corrupt data, change data, or degrade the performance of your system by utilizing resources such as memory or disk space. Computer worms are programs that reproduce, execute independently and travel across the network connections. The key difference between a virus and worm is the manner in which it reproduces and spreads. 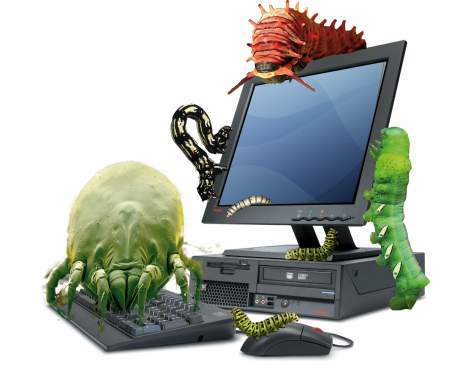 A virus is dependent upon the host file or boot sector, and the transfer of files between computers to spread, whereas a computer worm can execute completely independently and spread on its own accord through network connections. Trojan is a malicious program/code which is used for remote access to target computer and then attack using unauthorized access to target or victim's computer and causes damage to the system. Trojan is a small hidden code inside another program that's why it easily enters system without knowledge of computer user. Spyware are programs, cookies, or registry entries that track your activity and send that data off to someone who collects this data for their own purposes. Usually, those people are marketing companies trying to collect information to help them sell better. Spyware is usually installed quietly, or even secretly, when you install shareware applications. Many people feel that spyware is a violation of their privacy. 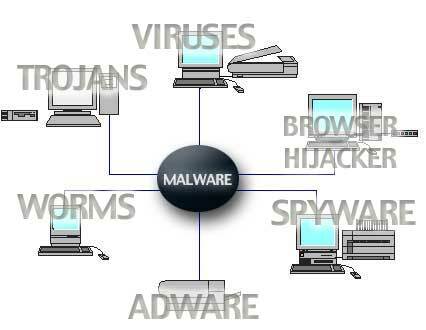 Adware is a close relative of spyware. Adware is software that is installed on your computer to show you advertisements.Adware can slow your PC by using RAM and CPU cycles. Adware can also slow your Internet connection by using bandwidth to retrieve advertisements. Adware can increase the instability of your system because many adware applications are not programmed well. In addition, adware can annoy you and waste huge amounts of your time by popping unwanted ads onto your screen, which require you to close them before you can get back to using your PC. This software "injects" a given URL in place of certain URLs when you try to visit them in your browser. Usually, the injected URL is an affiliate link to the target URL. An affiliate link is a special link used to track the traffic an affiliate (advertiser) has sent to the original website, so that the original website can pay commissions on any sales from that traffic. updates in your inbox for free! Perhaps you can add in as well the 'Scareware' type of Malware. Use the form below to comment. No spam please!!! 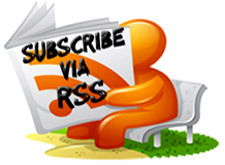 Get the latest articles via email for free. We respect your privacy. 2008-13 101 Hacker's. Articles cannot be reproduced without permission from the author.